From what it sounds like, you would like to point your domain to Yola. The link you posted goes to an article about CNAMES. A CNAME record maps a domain name, or a subdomain, to another domain name. Because each hosting service has slightly different ways to create CNAME records so you will need to check with your registrar for specific instructions on how to set this up using their interface. This tutorial contains all the steps you need to follow, in order to point your domain to Yola, whether you are using CNAME A records: Publish to a domain you already own. 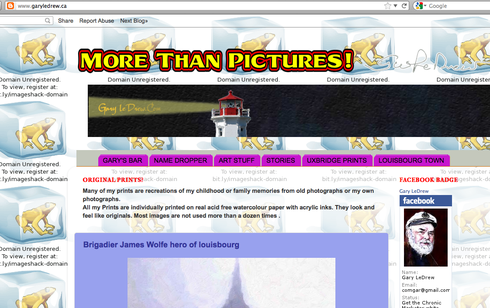 I have visited garyledrew.blogspot.com, and it redirects to your domain, garyledrew.ca. Could you let me know what type of problems you are having on your side?